I like to say that the work of The HSUS and the Humane Society Legislative Fund rests on four legs of activism: 1.) We provide hands-on care to animals, including those in distress, 2.) We educate and raise consciousness about animals and help people make better choices, 3.) We help pass and enforce laws to normalize animal protection standards and to prevent cruelty, and 4.) We work with corporations to adopt policies to help animals, because so many uses of animals are embedded within different sectors of the economy, whether it's agriculture, product development, fashion, wildlife management, entertainment and others. A little more than a week ago, the New York Times published a letter I wrote applauding Nestlé-the world's largest food company-for its new policy to improve animal welfare on the thousands of farms that supply it around the world. Thanks to this one decision from a company with a market capitalization of more than $200 billion, animals not just in one state or even one country will have better lives, but animals around the world will suffer less. Similarly, two-and-a-half years ago when we jointly announced with McDonald's that the restaurant giant is phasing out its use of pork from operations confining mother pigs in gestation crates, MSNBC correctly headlined that it was an "earthquake in the pig business." And they were right. 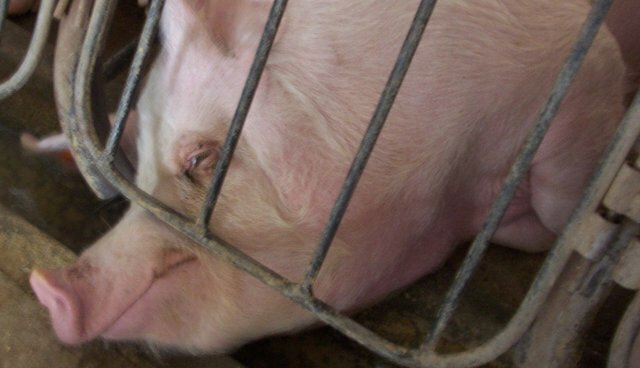 Since then, more than 60 other major pork buyers have announced similar policies, with this cascade of public pledges indicating this inhumane form of farm animal confinement is on the way out. The power of the marketplace to drive improvements for animals is unmistakable, and that's especially true in the domains of food and agriculture. Just as we applaud advances in the food-retail sector of the economy, we also welcome progress from agribusiness producers such as Cargill and Smithfield-both of which are eliminating gestation crates from their operations. We of course recognize the need for continuous improvement, while also applauding steps in the right direction. We celebrate progress, and don't require that any company be perfect before we offer praise or plaudits. And for us, the question isn't about "big vs. small" agriculture. While there are of course many small farmers and ranchers working to give their animals decent lives-many of whom we are proud to work with-we know all too well that poor animal welfare can exist on large and small operations alike. Whether at the now-shuttered Bushway slaughter plant (a small, family-operated slaughter plant supplying a local market that we caught committing egregious animal abuse), or at an operation owned by the pork giant Seaboard Corporation (where we documented animals languishing in horrid conditions), it's the abuse-not the scale-that's in our crosshairs. In this fight, size isn't irrelevant, and it does not by itself dictate our level of concern. Large size does not imply guilt when it comes to agriculture, nor is a small scale or output exculpatory. On every farm – whether small, medium, or large; diversified or focused on a single commodity or method of production; family or corporate owned; domestic or foreign-operated – our primary focus is on improving animal welfare. Of course, the vast majority of farm animals in the United States today are raised in industrialized operations that rely upon inherently inhumane systems of production (like gestation crates and battery cages). But that is changing, and it's my hope that our nation sheds these systems soon, and then we'll get more granular about best practices on farms. Many of the biggest food companies – retail and production – are driving some of the best changes, and we welcome their immense contributions to reduce animal suffering. It's our goal to remind consumers, family farmers and corporations of their responsibilities to animals. Every one of these creatures matter, and we have responsibilities to them. PS: Today, the Philadelphia Inquirer's Amy Worden broke the story that Clemens Food Group, one of the nation's largest pork companies, is eliminating gestation crates throughout all of its operations, whether on farms directly owned by the company, on facilities owned by its contractors, or at the operations of independent farmers it does business with. The company deserves great credit for heeding the call of the largest food companies who-through partnering with The HSUS in creating their animal welfare policies-have mandated a supply chain free of gestation crates.